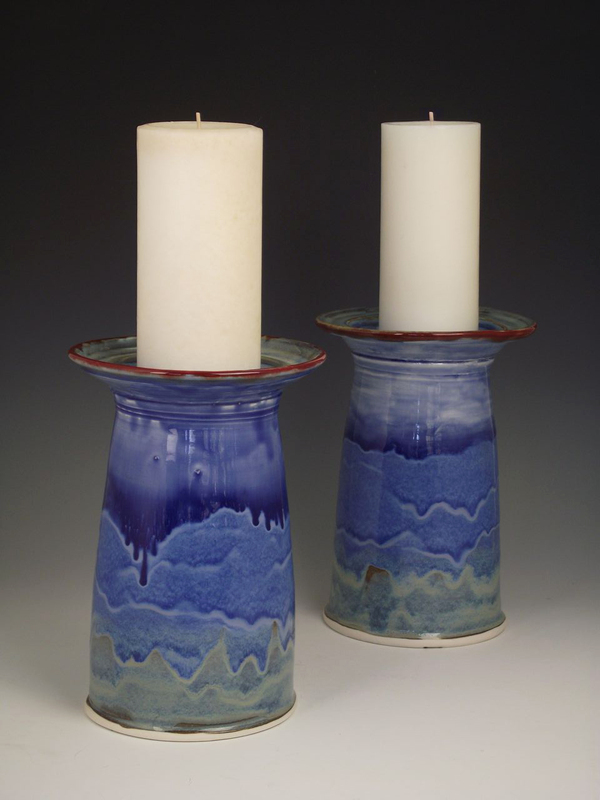 Buy Pottery Altar Candlesticks To Enhance Your Church Services. Every Piece Is Wheel Thrown of Fine English Porcelain and Hand Glazed. Made in North Carolina, USA. Our newest product from Faith Vessels! 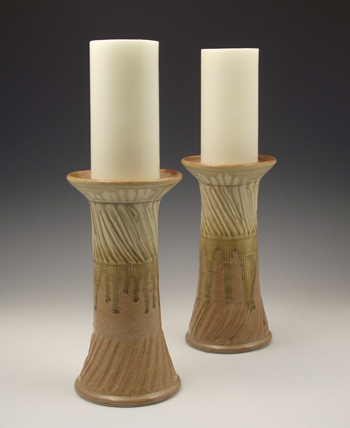 Ceramic candlesticks made generous in size to elegantly grace your church's altar or communion table. Each are about 9" high and 4.5" to 5" in diameter. Please contact us if you require a larger size as we can custom make them for you. Save $18 when you purchase your Altar Candlesticks as a pair!